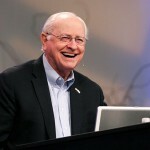 Does the Bible predict a nuclear holocaust? The people of Hiroshima within half a mile of the explosion were seared to bundles of smoking char in a fraction of a second. Thousands of these small black bundles could be seen stuck to streets, bridges, and sidewalks. Birds ignited in midair, and 70,000 buildings were obliterated. Mankind had entered the atomic age, the end of which was too terrifying to contemplate. 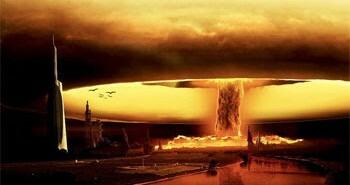 Since the beginning of the atomic age, nuclear weapons and the term “Armageddon” have been frequently linked together. Billy Graham rose to prominence in the 1950’s proclaiming that the nuclear “sword of Damocles” was hanging over all the nations, and that only Christ was a sure foundation in such perilous days. Hal Lindsey”s mega best seller, The Late Great Planet Earth (1970), made a strong case for a nuclear holocaust scenario in the days of tribulation predicted in the book of Revelation. Even secular sources took up the theme. The June 12, 1981 Toronto Globe and Mail noted that the decision to go ahead with the neutron bomb was the biggest step taken toward Armageddon since 1961. In San Francisco today you can call a number and get a recorded message by the Doom Society for Secular Armageddonism, who, in melodramatic tones, tell you that we are living in the end times and that the coming end of the world is a fait accompli. They are quick to deny that God might have anything to do with this, however, and insist that the coming end of the world will be strictly do-it-yourself, as a result of such things as nuclear proliferation, racism, ultra nationalism, and (you might have guessed) religious fundamentalism. Many Americans associate nuclear weapons with Armageddon, because, of all man’s discoveries and inventions, they alone contain the capacity to wipe out all human life on the earth within a few short hours. Let us consider the awesome power in the first primitive atomic bombs. After the end of World War II, Robert Oppenheimer, the director of the Los Alamos project which had given birth to this terrible weapon, was asked whether there were any significant limitations in the future of nuclear weapons. He replied, “If you are asking, ‘Can we make them more terrible?’ the answer is yes. If you are asking, ‘Can we make lots more of them?’ the answer is yes. If you are asking, ‘Can we make them terribly more terrible?’ the answer is, probably.” Today, some fifty years later, that probably has turned into a certainty. We have made them terribly more terrible. Considering the horrific devastation caused by those first bombs dropped upon Japan, it would be reasonable to suggest that if we merely doubled their destructive power we would have created a monster of mind boggling dimensions. To triple or quadruple such a bomb would be worse still. If one such bomb can create such total destruction to a major city, what could a bomb four times that size do? But we have not merely created weapons three or four times as deadly. 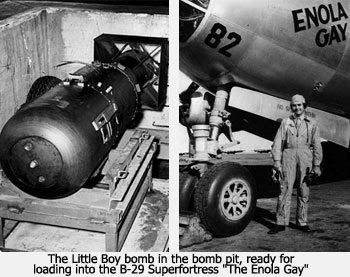 While the “Little Boy” and “Fat Man” bombs were measured in kilotons, today’s bombs are measured in megatons. 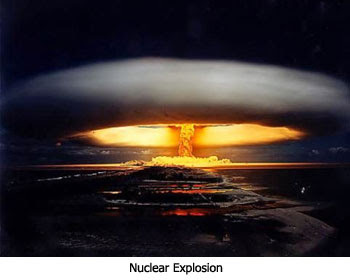 A one megaton bomb contains the explosive power of eighty Hiroshimas. Bombs have been tested which are 4,000 times as powerful as those dropped upon Japan. The only thing merciful about these bombs is that you wouldn’t have to worry so much about horrible injuries to survivors — there wouldn’t be any survivors! Is this what John saw? Nearly two thousand years ago, an elderly Christian leader was banished to an island as a punishment for sharing his faith in Christ. There, as he communed with the Lord on the island, he had a series of visions which described things which would take place in the last days. The man’s name was John and the visions he saw were recorded and are now known as the book of Revelation. Many have tried to defuse the book by turning it into a giant parable in which nothing can be definitely known except that in the end Christ will triumph and all will be well. But such an interpretation makes all the details of the visions meaningless. Some have dared to suggest that John’s visions may have been more literal than most have supposed. This more literalistic interpretation just might make sense if John was seeing the terrible results of a nuclear holocaust just before Christ’s coming to claim planet earth. and as for the bowl/vial judgements, they are almost identical to egypt and man even recognizes them as Gods` wrath so the vials are GOD HIMSELF. Hal Lindsey is quoted as saying "God simply steps back and removes His restraining influence from man, allowing him to do what comes naturally out of his sinful nature." (That is, the nations nuclear arsenals are unleashed). I couldn't agree more. This is the only explaination as to why we haven't nuked each other so far. i agree that God holding things back is the only reason we havent nuked each other so far. the day is rapidly approaching when that will no longer be the case. some say the tribulation is the wrath of Satan the 1st half and the wrath of God the 2nd half. i say the whole time is a combination of the wrath of man, Satan and God. how dreadful itll be. i can TOTALLY relate. when i was a kid i was convinced i committed the unpardonable sin and for 6yrs was convinced i was going to hell and at least 3x a week i`d have nightmares about it. i had to sleep with a light on. anyway, growing up in alaska (close to russia) during the cold war one night i had a dream i was looking west with a telescope accross the water and i dreamed i saw russian troops heading my way. (i was 8) i knew or thought Gog/magog would occur simultaneusly with the rapture. anyway i can relate to that dream. I still remember that movie The Day After, which was about post-nuclear America, (some of you might remember it) and how it gave me nightmares for days. they made a remake of that movie(in 2004, the day after, or the day after tomorrow, forgot the xact name) only it wasnt nuclear weapons, it was liberal propaganda about how we screwed up the ecosystem. Yeah, that was the Day After Tomorrow, which is really about "climate change", hart. The Day After graphically portrayed nuclear holocaust in Kansas I think, and was (at the time) so realistic it freaked everyone out. An image burned into mind is a scene where someone is running in Kansas City (I think) when they get hit by an atomic fireball and come out the other side a burning skeleton. It's out on DVD, now. I don't know about Blue Ray. And they show it on SyFy once in a while.